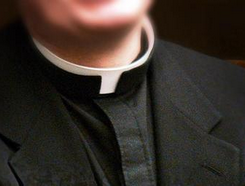 Growing up, I remember seeing clergy in their robes and collars. Black shirts with the clerical collar made them look different than the rest of us. It wasn’t just their clothing. It almost seemed like they carried themselves differently. They spoke softer. They walked smoother. When they walked into a room, everyone sort of bowed their heads. They were just different. Years later, I am in the vocational ministry. I understand a bit of the professional spirituality these men practiced. It is the quality that gets you an invitation to pray at someone’s family reunion. It is the quality that makes people stop telling a really good joke when you enter the room. There is something about the collar that makes people think differently about you. Even if you don’t have the collar. Professional spirituality is surface deep. It doesn’t necessarily go any deeper than the black outfit. Christians are sometimes expected to maintain this same kind of observable spirituality amongst non-believers. It is where we get all our rules. Do this. Don’t do that. Say this. Don’t say that. Look pious. But it is not those rules that make us spiritual. In fact, it is not what we do or how we act that makes us spiritual. It is who we are. That is the point Jesus is making in Mark 7 when He says it is not what enters a man that defiles him, but what comes out. It is not following all the external rules that makes a spiritual man, it is what is inside him. It is who he is. If the who we are is right, the what we do will take care of itself. It doesn’t’ work the other way around. We can all behave ourselves. We can all follow the rules if we need to. But it doesn’t make us spiritual. We don’t get someone who is really a follower of Jesus. All we really get is professional spirituality. A very sad assessment of the wonder of the priestly vocation – “professional spirituality” indeed! Sanctity is for all, but priests are specially called to be the presence of Christ to their brothers and sisters and to the world. Thanks for picture which I used <a href="http://caritasveritas.blogspot.com/2011/06/why-priests-should-wear-their-clerical.html"here and which gives a very different assessment of the priestly presence in the world. Father, I didn’t mean to cast a bad light on wearing priestly garb–just on the practice of the shell of spirituality that happens far too often. Professional Spirituality is endemic and must be forced deeper. I read your post. I do believe there is value in the visible presence of clergy. May the garb you wear reflect the pastor’s heart you obviously possess. Sorry about the incorrect html in the above comment. It should be here.